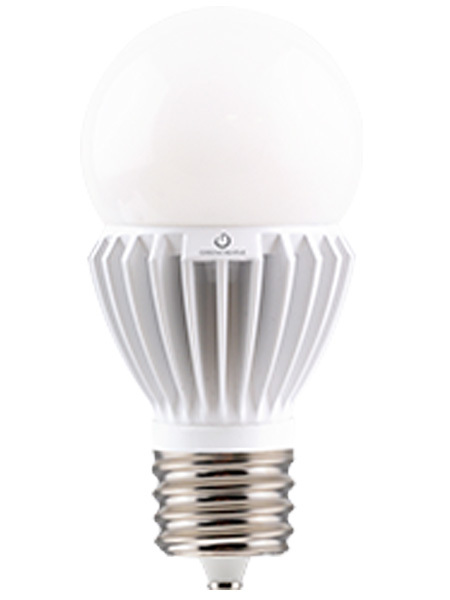 This A23 lamp replaces a 200W Inc. and is suitable for use in enclosed fixtures. 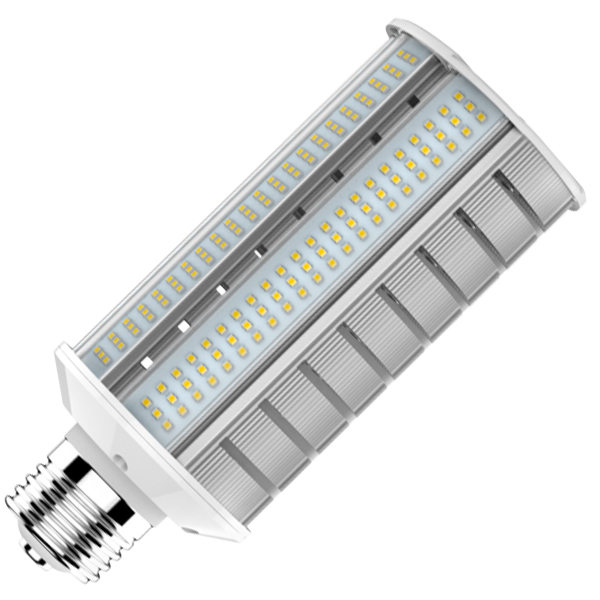 LED replacement lamps often referred to as corn lights because of their rows of led chips are one of today’s most efficient ways to replace metal halide, high pressure sodium and mercury vapor light bulbs. LED Corn lights last longer that all three high intensity discharge lamps, currently the standard life is now 50,000 hours allowing for considerable less maintenance requirements allowing for even greater savings. These are available in a wide range of lumen outputs, replacement wattages start as low as 16 watts and go as high as 450 watt that’s covers all high intensity discharge wattages between 35 and 1500 watts. Another benefit of the LED Corn lights is their ability to maintain their bright light throughout their lifespan, as much as 80% of the lumen out will remain throughout the life of the lamp. Base Type. These lights come in two different bases, Medium E26 which is your standard household size base and the E39 Mogul base that all the higher wattages come in. Color Choices. LED Corn lights are available in a wide range of colors. Starting at 3,000K and increasing all the way up to 5,500K. The warmer 3000K will do a good job of simulating the warm High Pressure Sodium lights and consider 5000K for any warehouse, parking or security lighting. If you are unsure what light will work best for your application please give one of our lighting designers a call to make sure your getting the correct color for your application. Return On Investment. Typical return on investment can be as low as six months depending on what you pay per kilowatt, how much wattage you were using and what the replacement wattage will be. If you would like to figure out exactly how much switching to LED Corn lights will save your try using our Energy Savings Calculator . Rebate Incentives. Many utility companies now see the benefit in switching out the High Intensity Discharge lights and you may be able to receive a portion or all of the cost to make the switch. To find out more contact your local utility company, we have a helpful Utility Rebate section to help locate rebates in your area. Local Rebate Finder. With a large surge of manufactures looking to gain market share in this growing category there are numerous issues to avoid. Before choosing an LED Corn Light consider a few things first. Is the wattage listed actually sufficient to replace the current HID lamp. 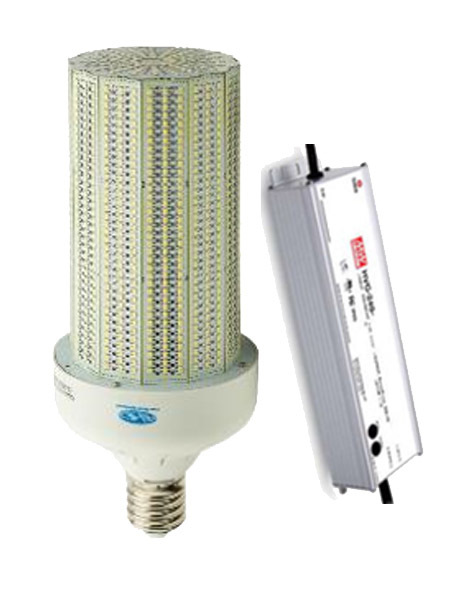 It has become common place to have a wide range of LED wattages available for the same HID lamp. Manufacturers do this to attract more buyers by appearing to reduce the replacement cost, example... 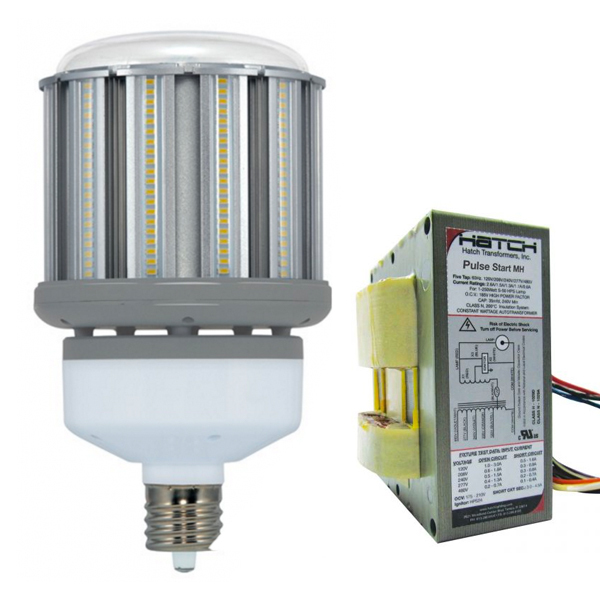 Typically replacement wattage for a Metal Halide MH400 lamps should be 120 and at the lowest 100 watt depending on the LED Corn Light lumens per watt rating. 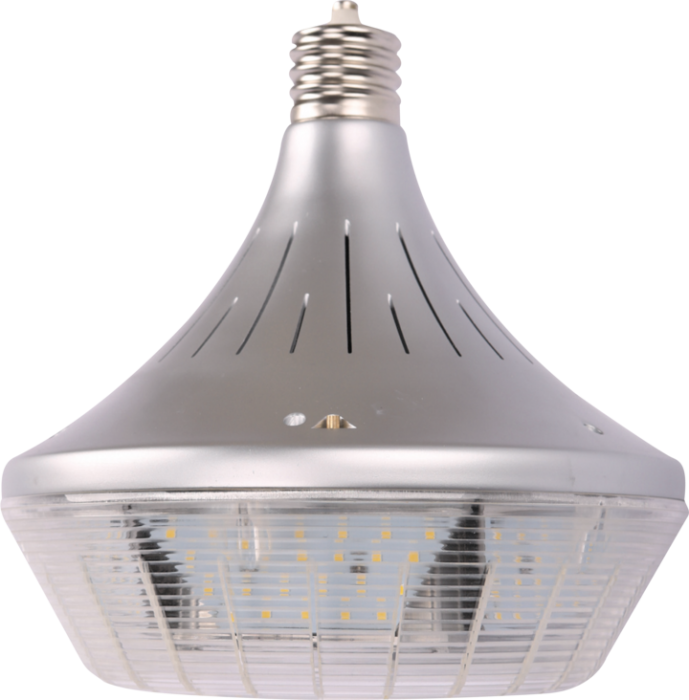 Many manufacturers will list a wattage as low as 60 watt to replace a 400 watt metal halide, well below the needed light level. One of the main issues customers run into is the recommended LED replacement corn light is too large to work with their current HID application. 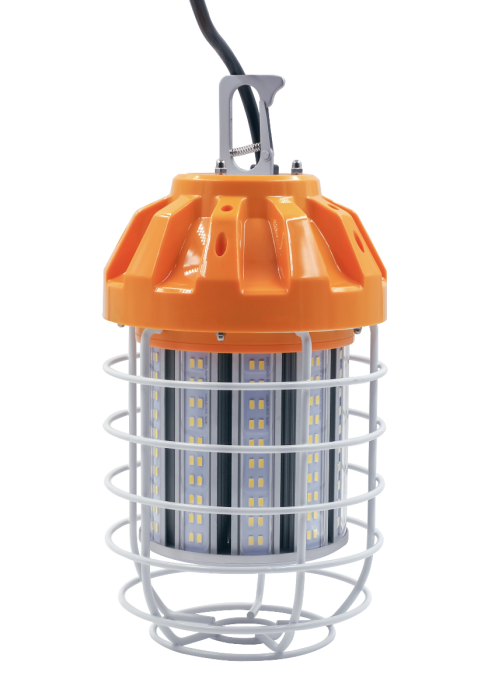 There are a few workarounds for this issue, a few manufactures have addressed this by making reduced size LED corn lights that were designed to fit into these tight applications and work in enclosed fixtures. 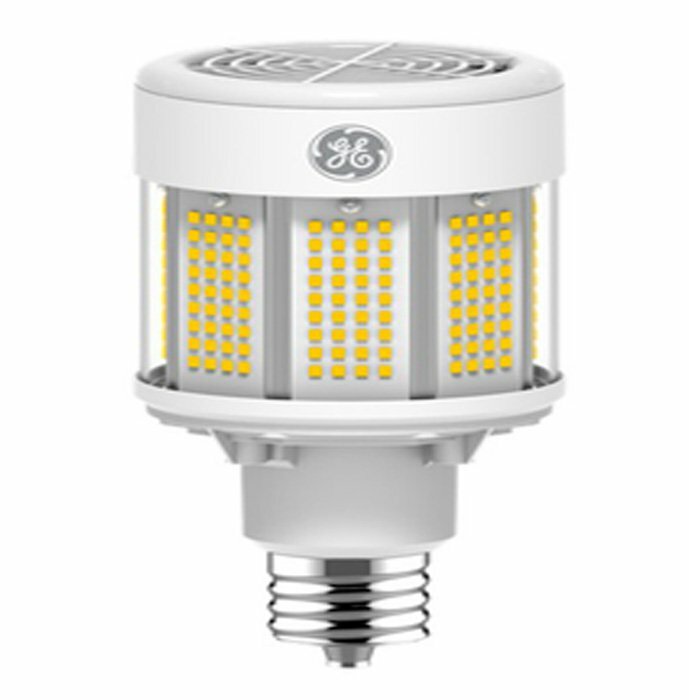 We have a section dedicated to these reduced sized LED corn lights. The majority of issues like blinking, partial or complete failure are due to overheating. 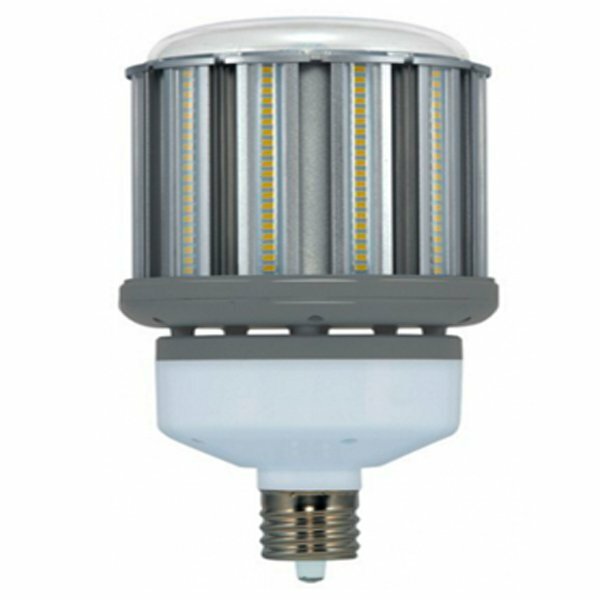 It is critical that the LED corn light you choose is not so tight in the fixture that the application doesn’t create too much heat and causes an issue. If you’re unsure about your application please give us a call and we can review your fixture and recommend the perfect replacement. 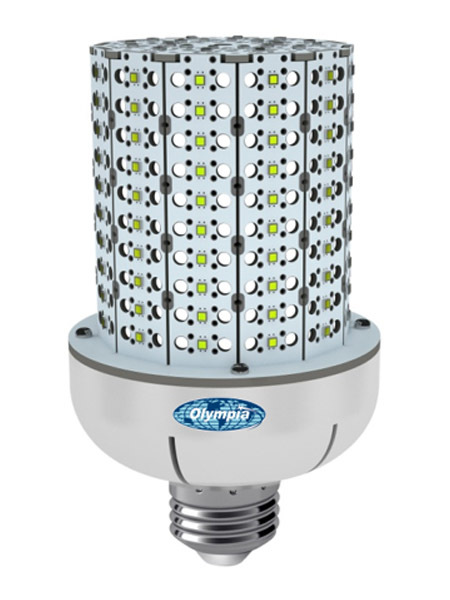 The overwhelming majority of the LED Corn Lights work without the ballast. Although there are LED Corn Lights that work with the ballast it is not common and avoid damaging the lamp by making sure the light you are installing is ballast compactable or not. 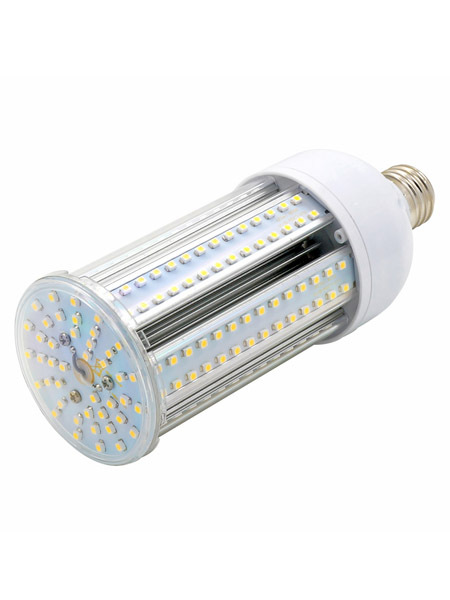 If you are installing the LED corn light and it is the direct wire version you simply have to remove the HID Lamp, remove the HID ballast and wire the power directly to the socket. How to correctly install a wiring harness for GE Corn Lights. Harness instructions for LED Corn Lights.